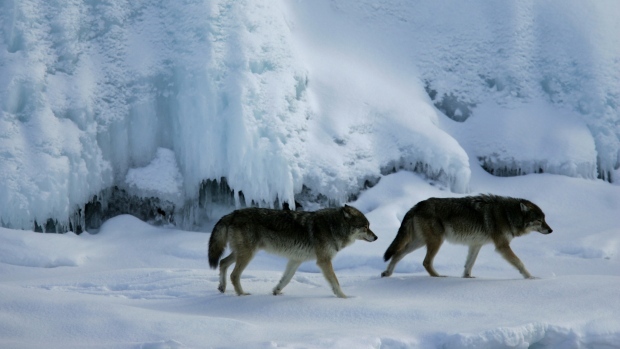 “We need to get these wolves off the island, otherwise they’ll die,” said Aaron Bumstead, director of lands and economic development with Michipicoten First Nation who is co-ordinating the move with the province’s Ministry of Natural Resources and Forestry. Last year, the province and the First Nation used several helicopters to move a total of 15 caribou — a threatened species in Ontario — off Michipicoten Island. Nine of the animals were transferred to the Slate Islands, and the other six to Caribou Island. There they found a bounty of caribou to feast on. But as the small pack grew to more than a dozen wolves in the following years, their food source — the caribou — all but disappeared. Now the wolves themselves are in danger, said Bumstead. A spokeswoman for the Ministry of Natural Resources said she wouldn’t comment on the wolves’ transfer until the animals were captured and transferred to the U.S.
Bumstead said efforts to capture the wolves on Michipicoten Island were unsuccessful Wednesday. The two wolves they saw wouldn’t come out from under cover, he said, so they’ll try again Thursday. American officials and researchers with Isle Royale are anxious to receive the Canadian wolves because it will help save the park’s current pack, which dwindled this fall to just a non-breeding father-daughter pair. “The Canadian wolves are robust, large and definitely know how to hunt ungulates since they took that caribou herd down to nothing,” Green said. His research — the world’s longest running predator-prey study — was also threatened by the U.S. government shutdown. On Friday, just hours before U.S. President Donald Trump temporarily ended the government shutdown, the Isle Royale National Park had secured funding from a non-profit organization to go ahead with its part in the wolves’ transfer from Canada. The funding also allowed it to open the park to researchers to continue the predator-prey study. “The shutdown jeopardized the integrity of the data and of the entire study itself,” said Peterson, who plans to return to the park as soon as the Canadian wolves are moved. “Then the kill rate of moose by wolves reached a level we hadn’t ever seen before in 50 years. They were killing 20 per cent of the moose every year, which had implications for the forest,” Peterson said. But that wolf, dubbed the “Old Grey Guy,” Green said, was so successful that inbreeding became very severe. Eventually the wolf population crashed and bottomed out at two, which is when the park decided it needed outside help. Four wolves were brought in from Minnesota in the fall, but one died of pneumonia a month later. “Let’s hope everything goes well with the move,” Bumstead said. Instead, it was the hunter’s 18-year-old son, who died from his father’s misguided shot. The incident took place in Khanty-Mansiysk in northern Russia, about 2,000 miles east of Moscow. “Having come closer, the hunter saw that he mortally wounded his 18-year-old son,” the investigator told the Moscow Times. Reports have not released the names of the father or his son. The father is charged with “death caused by negligence,” which means he could face possible jail time, the Moscow Times reports. For the Buckle family of Corner Brook, hunting is a family affair — one that goes back decades. “All my fondest memories of spending time with my father, it’s always been hunting and fishing,” Matthew Buckle said. Now the couple brings their own three children out hunting as well and this year their daughter Emily, who just started Grade 12, hopes to shoot her first moose. Emily’s goal is possible this year due to recent changes in hunting regulations in Newfoundland and Labrador. One of the most significant changes is the new minimum ages of 16 for big game hunting and 12 for small game hunting, Fisheries and Land Resources Minister Gerry Byrne told CBC’s Corner Brook Morning Show on Friday. “We’ve taken a number of very deliberate actions to increase access to our outdoor heritage,” Byrne said. Minimum hunting ages were previously 18 for big game and 16 for small game. The reduction in hunting age will give young people more opportunities to spend time in nature, Byrne said. “One of the big considerations in this was when you provide an opportunity for our young people to get access to the outdoors, to get access to hunting, they learn very, very important skills at an early age,” he said. That’s a key motivation for the Buckles. “I want them to learn what I know,” said Matthew. Those lessons have resonated with daughter Emily, who says she enjoys time spent hunting with her family and values the food from their hunts. Moose licences cut by nearly 2,500 but is that enough? “When you kill something, you get to eat it and you get to know where it comes from,” she said. The shared experience is a source of pride and enjoyment for the whole family, Matthew said. The eligible age for hunting licences has been lowered, but the safety restrictions are just as stringent as they are for adult hunters, Byrne said. “There will be no 16-year-olds that will be hunting big game without adult supervision,” said Byrne, who said the same is true for small game. Eligible hunters of all ages must complete a hunting test for firearm safety and a hunter education program, and the province is offering youth hunter skills workshops a few times a year in different locations around the province. A recent workshop in Deer Lake had about 50 attendees, Byrne said, and another will be held in Happy Valley-Goose Bay this weekend. Safety is a key consideration for the Buckle family as well, and Tammy is a hunting safety instructor. “‘When it does come to the firearms component, safety is of the upmost importance to us,” she said. The couple have worked to instill a respect for and knowledge of hunting safety in their children from a young age, she said, including not just firearms but also rabbit snares and fish hooks. 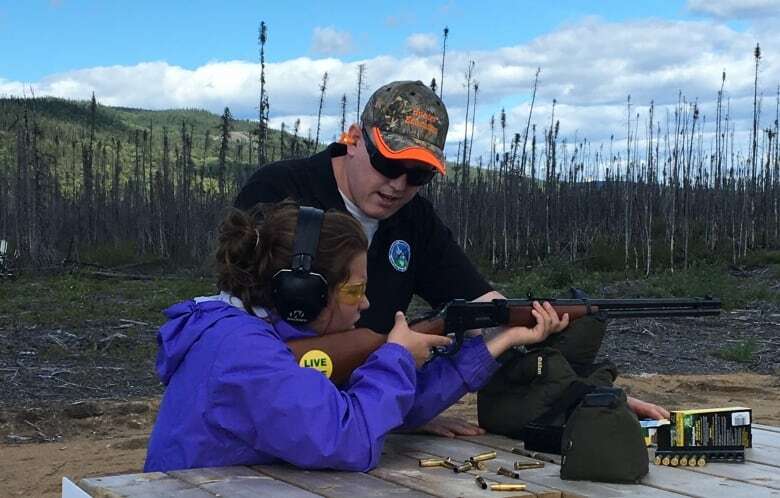 Emily Buckle completed her firearms safety training before obtaining her first moose licence, and plans to practise before she goes out to hunt herself. Such experiences, when done safely, are a valuable way to preserve both provincial and family traditions, Byrne said. 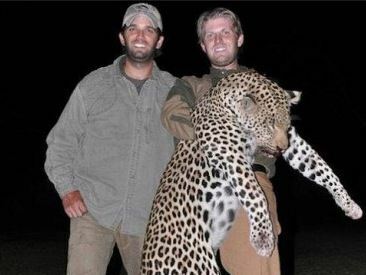 Donald Trump Jr. gave up his Secret Service detail in mid-September to go on a moose-hunting trip in the Yukon, according to a report in The New York Timesthat details one reporter’s quest to locate the eldest son of the president during his adventure. Trump voluntarily abandoned the protections when he traveled to the sparsely populated northwest Canada territory, where he spent a week with a few friends and a hunting bow. Trump Jr.’s Secret Service protection has since been reactivated. Two Spencerville men have been fined a total of $2,000 for hunting offences under the Fish and Wildlife Conservation Act. Steven Hopkins pleaded guilty and was fined $1,500 for unlawfully discharging a firearm on a travelled roadway. Barrie Crawford pleaded guilty and was fined $500 for unlawfully possessing an illegally killed bull moose. Court heard that on Oct. 16, 2017, Hopkins and Crawford were hunting on the Warren Carty Road near Foleyet when they observed a bull moose walking on the road. Hopkins exited the vehicle and, while standing on the roadway in front of the vehicle, fired twice down the roadway at the moose in the direction of a blind corner. Crawford, who was driving the vehicle at the time, attached his game seal to the moose. Justice of the Peace Nathalie Breton heard the case in the Ontario Court of Justice, Chapleau, on April 11, 2018. To report a natural resources violation, call the MNRF TIPS line at 1-877-847-7667 toll-free any time or contact your local ministry office during regular business hours. You can also call Crime Stoppers anonymously at 1-800-222-TIPS (8477). And visit here to view an interactive, searchable map of unsolved cases. You may be able to provide information that will help solve a case. This commentary is by Alana Stevenson, a professional animal behavior specialist who has an master’s degree in biology education and a bachelor’s degree in biology. She is the author of “Training Your Dog the Humane Way” and is certified in Low Stress Handling for dogs and cats. The population of moose has drastically declined in Vermont due to winter ticks, brainworm, lungworm, loss of habitat and hunting. Yet the Vermont Fish and Wildlife Department and the Fish and Wildlife Board still support a 2018 moose hunt. For too long the department and the board (solely made up of hunters and trappers with vested self-interests) have catered to hunters and trappers at the expense of animals, wildlife, homeowners and non-hunting Vermonters. The Vermont Fish and Wildlife Board’s rationale (and that of many moose hunters and hunting guides) is that if the moose hunt is suspended, it will be hard to reinstate. And this is how wildlife policy is made — by pandering to “sport” hunters and irrational, self-serving thinking. 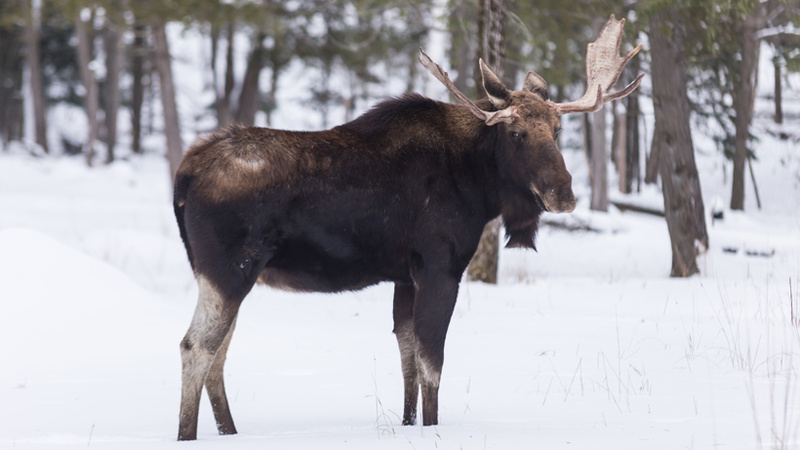 In the 1800s, the moose population was nearly wiped out because of hunting. Now the moose again are suffering. Moose who are injured and not recovered do not even count towards a hunter’s “bag limit.” How is this justified? Why is it that the Fish and Wildlife department and board cater to the few when the majority of Vermonters want to see ethical and responsible management? If a person is killed because they are “shot” by a hunter, it’s labeled a hunting “accident.” You can’t drink and drive, but you can drink and shoot. Hunters seemingly don’t have to follow public noise ordinances. There are many Vermonters who don’t want to hear gunshots outside their windows or near their property. The fact that the non-hunting public and homeowners have so little say in the way wildlife is managed by Vermont Fish and Wildlife is undemocratic and irresponsible. Animals can be trapped without having to be reported. Traps can be set nearly anywhere, including on public land near walking and hiking trails. Vermont allows killing “contests” and “open” seasons on a number of animals. The way wildlife is managed — or mismanaged — by Vermont’s Fish and Wildlife department and board needs to change. There are many Vermonters who enjoy viewing wildlife. Wildlife provides peace, beauty and tranquility to hectic lives. Wildlife watching, including viewing moose, contributes to the economy. In many states, far more than hunting does. Those who like to view and/or photograph wildlife, hike, run, rock climb, ski, kayak, bike, birdwatch, paddle board, and participate in non-consumptive outdoor recreation need to have a say in how policy is made and how wildlife is managed in Vermont. Brian L. Heinrichsen, 65, killed after accidentally shooting himself with .454 caliber Casull pistol at the start of a moose hunt north of Amanka Lake. AST says Heinrichsen lives in Puyallup, Washington. 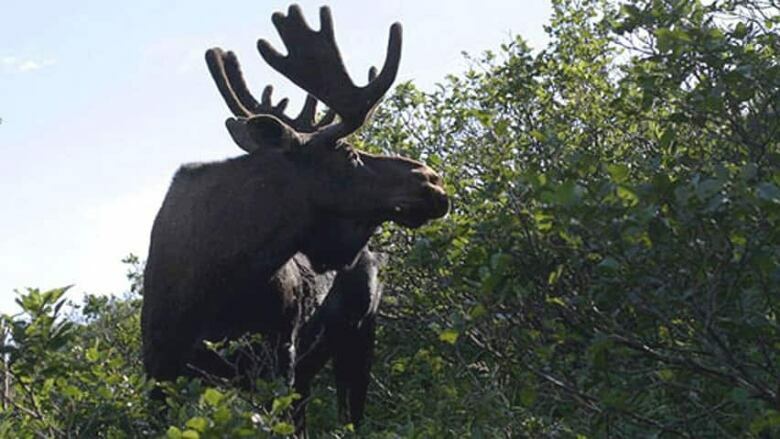 KDLG: A fly-out moose hunting trip ended in tragedy Friday when Brian Leslie Heinrichsen, 65, accidentally shot himself in the chest while pulling a large caliber pistol from a shoulder holster, according to Alaska State Troopers. Heinrichsen and his hunting partner had arrived at a small, remote lake approximately eight miles north of Amanka Lake that day, and may have still been unpacking their gear, said AST Sgt. Luis Nieves. The victim has hunted in the area before, and he and his hunting partner were lifelong buddies, he said. The partner, not named by authorities, used a satellite phone to call for help, but the victim was the one who had more experience and apparently also the numbers to call, including for their air taxi Tikchik Airventures. The man called the only number he could find, which was for concierge service on the back of an Alaska Airlines credit card. According to AST, an Alaska Airlines service operator was able to contact the Dillingham dispatcher and Tikchik Airventures to report the incident. Rick Grant from Tikchik Airventures quickly took state troopers to the scene. According to the investigation, Heinrichsen was likely pulling a .454 Casull pistol from a shoulder holster when he accidentally fired a round into the left side of his chest. The gunshot ended his life within moments, said AST. The .454 Casull is larger and more powerful than the .44 Magnum, and is carried by some hunters for self-defense against bears. His body was recovered from the scene and flown back to Dillingham, where it was transported to Anchorage for an autopsy. AST said Heinrichsen listed Hoonah as his address, but contacted his next of kin in Puyallup, Washington, where they believe he now resides. This article was updated for the Bristol Bay Times – Dutch Harbor Fisherman newspaper. Sunday’s moose opening in western Bristol Bay ended in tragedy when 35-year-old Bryan Anderson of Naknek died after falling overboard on a trip across Lake Aleknagik. Anderson was hunting with three others on the boat of Jack Savo, Jr., of Dillingham. According to state troopers, they were boating back across the lake late when Anderson fell into the water. “One of the passengers actually witnessed him falling off of the boat,” said AST Sgt. Luis Nieves. “That passenger immediately shouted to the operator, Mr. Savo. He maneuvered the boat to recover Mr. Anderson,” finding him unresponsive in the water. Anderson was not wearing a life jacket. The boaters pulled Anderson to shore and attempted CPR, then brought him on the vessel and headed quickly back to the launch at Aleknagik. “They were met by local EMS, who then transported Mr. Anderson to Kananakak [Hospital] where they continued lifesaving measures until he was pronounced deceased at approximately 0250 hours,” said Nieves. Troopers were first notified of the situation a little past midnight. The state medical examiner requested an autopsy. By Tuesday state troopers had not offered further detail on what caused Anderson to fall overboard Sunday night. Alcohol may have been involved, according to AST. Nieves said the boat had the required life jackets on board, but at least Anderson was not wearing one when he fell in. “Even the most fit person … you go into the water without a life jacket, that cold water is going to immediately cause you to take a gasp for air, which can result in people drinking water,” he said, urging people to boat safely and keep the PFDs on, not just in the boat.